Please refer to our stock # DB1077 when inquiring. 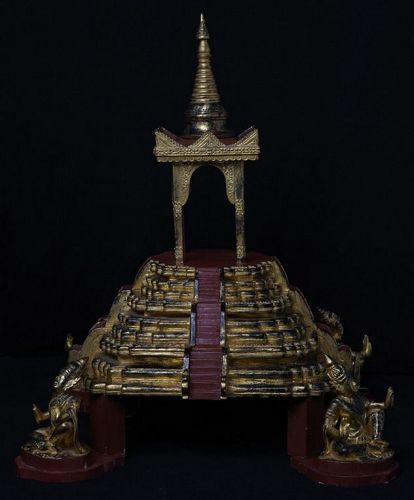 Burmese wooden throne with gilded gold and angel on the four lags. Measurement: Height 71 C.M. / Width 60 C.M. / Thickness 60 C.M.